If you have just evicted a tenant or planning to do so, as they may have fallen behind in paying the rent and do not intend to pay it either or are negligent towards the upkeep of your property and destroy your assets. Beware! An evicted tenant may try to seek revenge by breaking into your property, using the set of keys he may have fraudulently retained. This is where the role of Lock Locksmith Tech’s eviction locksmith services in Sanford, FL comes into play. It assists you in strengthening the security of your property and save you from any malicious intentions of your former tenants. It is not so simple to restrict the entry of your tenant just by changing the locks. If the tenant is not in the wrong, with the law on his side, forceful eviction is not advised. If you still go ahead with it, you might end up paying huge legal fees and damages. If you have a legal order and are supported by the law, you just must seek help from Lock Locksmith Tech. 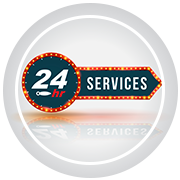 Our locksmiths will arrive on the location promptly to help you with the eviction process. 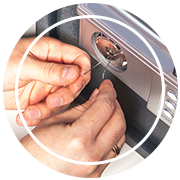 As soon as you seek our help for eviction locksmith services, our experts will arrive on site and inspect all the locks that your former tenant might have had access to. If our team finds the locks undamaged by the spiteful ex-tenant, they would advise rekeying of the locks instead of replacing them. Rekeying the lock is more economical compared to replacing them entirely. The rekeyed locks are as strong as the new ones. Our technicians will change the inner combination of pins and tumblers of the lock so that it opens only by the key corresponding to the new combination of the rekeyed lock. Any old key deceptively retained by the previous tenant will become useless. Some people are extra cautious about their property, especially so after an eviction, and may want a complete revamp of their security system. There might be a broken window or a faulty latch you are not aware of, but having lived on the property, the ex-tenant would know all the loopholes and can take undue advantage of the fact. 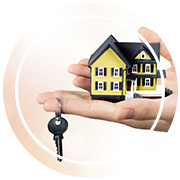 Call in our eviction locksmith services to examine your property thoroughly for added peace of mind. They would identify the weak points in your security setup and suggest appropriate remedial actions. With your go-ahead, they will replace the locks and other security devices and quarantine your property against security threats. It may be unpleasant, but circumstances can force you to evict someone from your property. The least you can do is to make the process simpler. 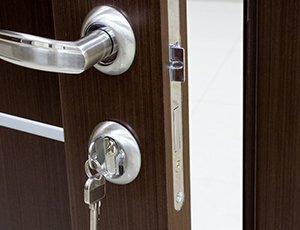 Avail eviction locksmith services from Lock Locksmith Tech for tension free and effortless evictions in Sanford, FL area!